Inverell Motel has the best value rooms and position in town, situated right in the centre of the CBD and shopping district of Inverell. Park and walk to restaurants, shops and supermarkets – your perfect family friendly Inverell accommodation. Inverell Motel offers you 24 rooms. Modern Standard rooms, Petite Standard rooms (slightly smaller than standard room), Twin rooms, Queen / Family rooms. 3 of our family rooms can comfortably sleep up to 5 people. Each unit is provided with toaster, jug, tea, coffee, biscuits, microwave, iron and iron board, air-conditioning/heating, electric blankets, hairdryer, flat screen TV, mini bar and free Wi-Fi. 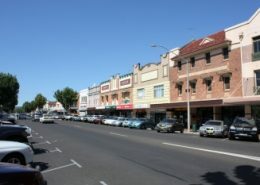 Inverell Motel has the best value rooms in the best position in town, situated right in the centre of the CBD and shopping district of Inverell. All of your shopping and dining needs are just short walk from the motel. 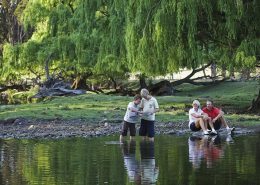 If you have never visited Inverell, we are sure you will be pleasantly surprised at the attractions and services that the area has to offer the visitor. Inverell Motel has a wide range of brochures to assist you in selecting local attractions. 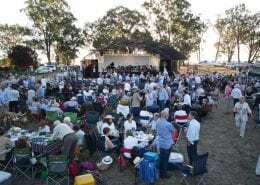 The Inverell region is home to the Inverell Transport Museum, Inverell Pioneer Village, Copeton Water State Park, Copeton Dam, local olive groves, local wineries, Green Valley Farm and nearby National Parks. Great Location stayed in room 3 loved the lounge and also the fact they had cutlery and crockery in the room. Mini bar was also convenient. Very clean motel for its age. Location location location very well placed motel. Comfy clean spacious family room with kitchen facilities. Natalie was delightful and very helpful. Great central location and cold A/C which was very welcome on very balmy evenings and 40+C days. Mum and I enjoyed our stay for 3 nights-would recommend. Arrived in Inverell and got a room at this great motel. Natalie is a wonderful host and the rooms are clean and well appointed. A five minute walk to where we were meeting our friends and it’s well located in the heart of town. Recommend this motel. Central location was very convenient, beds are comfy and the rooms were tidy even if they were a little outdated. Access to washer and dryer was also handy for our week stay. Relief management were wonderful. I found the Inverell Motel affordable, clean, friendly atmosphere and close to the Shops in Inverell Town Centre a pleasant stay on my trip chasing the elusive Sapphires the area is well known for. 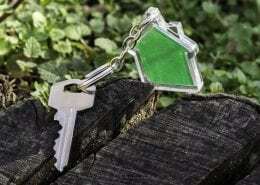 The Motel location is a good stepping stone to many activities in the area.